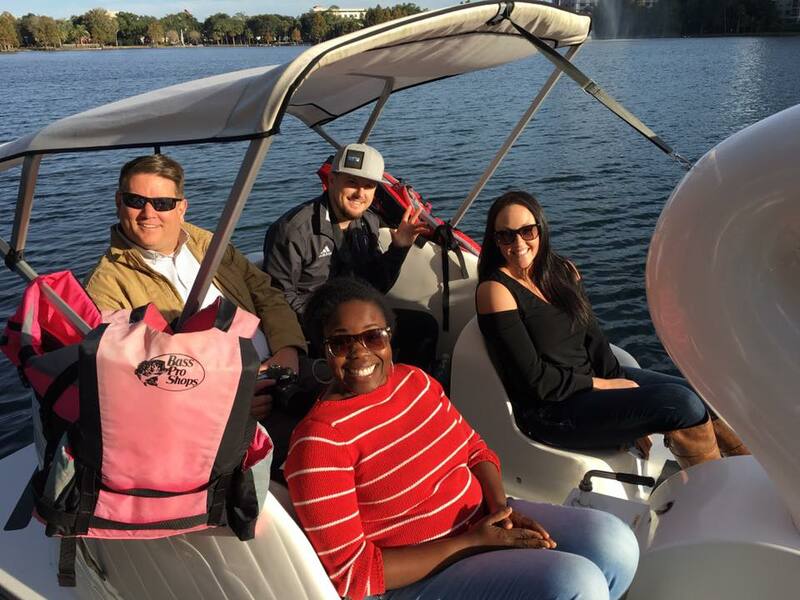 On a bright and sunny Friday afternoon, a group of “O”bassadors (Orlando social media ambassadors) gathered to do something all local Orlandoans should have on their bucket list: ride the Lake Eola swan boats in the heart of downtown Orlando. After the launch of the Orlando EDC’s Obassador campaign, many Obassadors discussed interesting places in our region and things to do in Orlando. 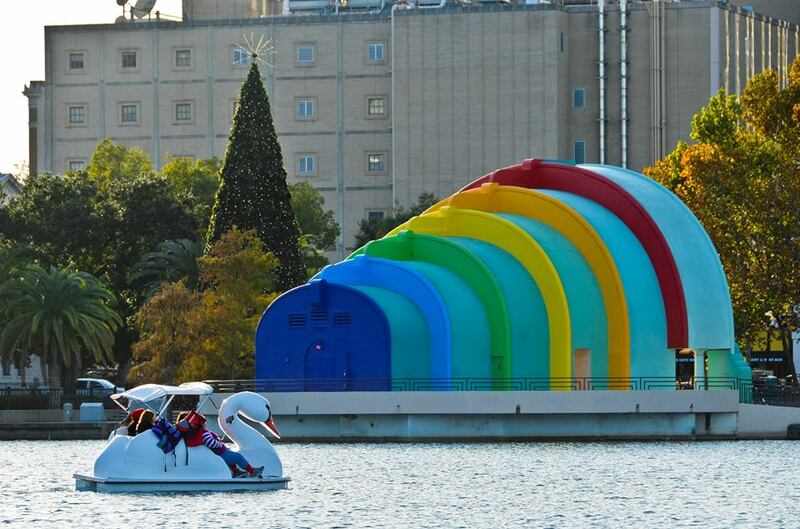 The Obassadors mentioned numerous locations, events, and unique experiences throughout Orange, Lake, Seminole and Osceola counties; one activity, however, emerged consistently throughout the conversation: many Obassadors had not ridden the swan boats at Lake Eola – but they wanted to! Obassadors gathered on the swan boats (taking prolific selfies) and took off around Lake Eola. The view of Orlando from the calm, serene perspective of the swan boats was breathtaking. Many Obassadors went Facebook Live to document their heroic journey out on the lake. You can view pictures from the meetup here. Using the hashtag #Swanbassador, the Obassadors reached over 95,401 users with an estimated 359,355 impressions, spreading the message of Orlando locals enjoying a unique experience in the heart of the city. This post is the first in a series following the Obassadors as they explore unique experiences in the Orlando region, while sharing their experiences with the rest of the world. If you are interested in becoming an Obassador, please visit www.orlandoedc.com/obassadors.